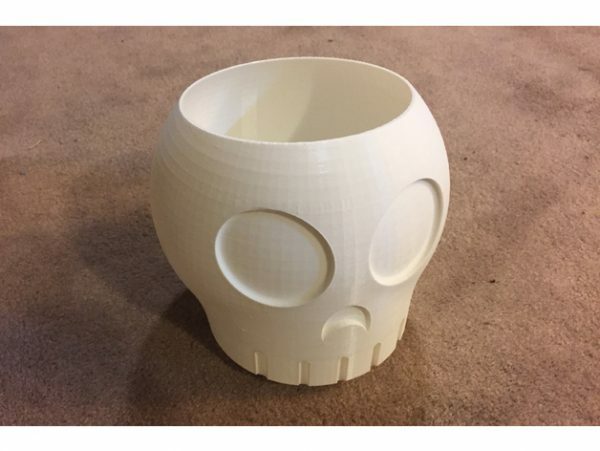 Wanted to finally print something large, so what better model than the Skully, as a bowl! Now I have a Skully full of Skullys! Modified the original design to accommodate the larger print size. Some of the features wouldn’t print correctly otherwise. One thing to note is that I exported a higher resolution STL file to upload for this listing. You can see in the images that the resolution was too low initially. Wish I had of done that before printing, oh well. I might print another one someday.